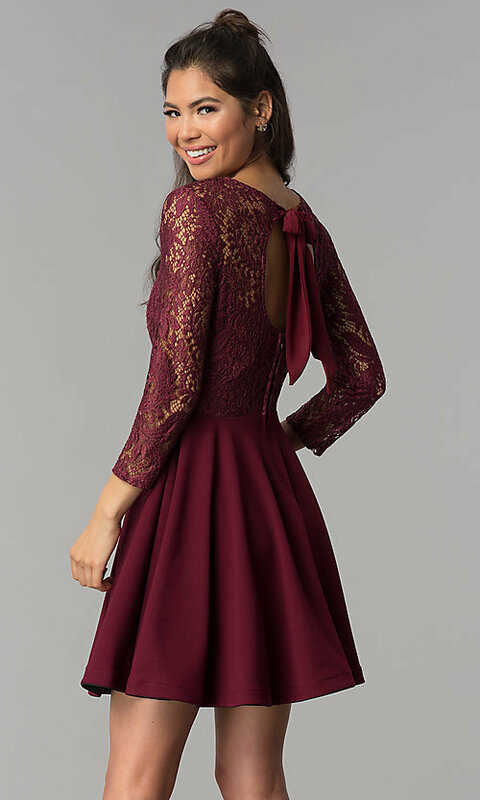 This garnet red short homecoming dress under $100 is simply sweet. The red party dress, by the designers at Bee-Darlin, has a sheer-lace scoop-neck bodice with a sweetheart lining and three-quarter-length sleeves. With a slight spin, this charming a-line dress reveals an adorable sash bow tied at the nape of the neck over a circular cut out. Crafted from soft jersey fabric, the lined circle skirt flares prettily from the natural waist to the short hemline. 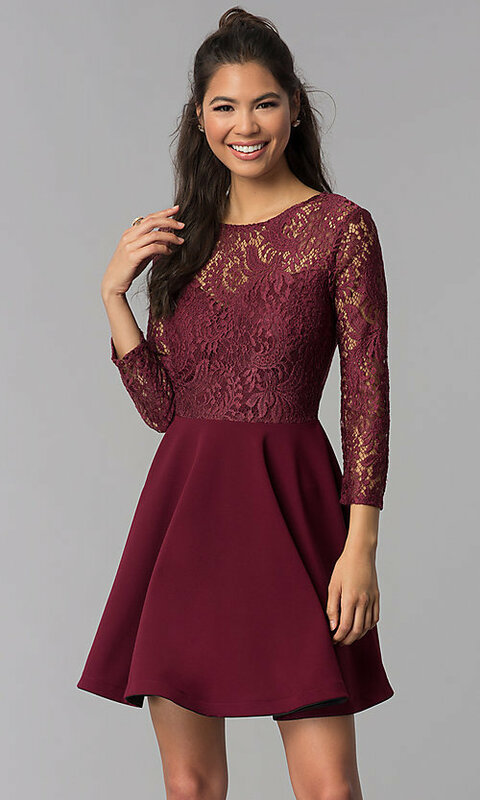 The rich warm color, sleeves, and overall design of this lovely party dress is ideal not only for hoco 2019, but also super-cute for wedding celebrations and other semi-formal events.